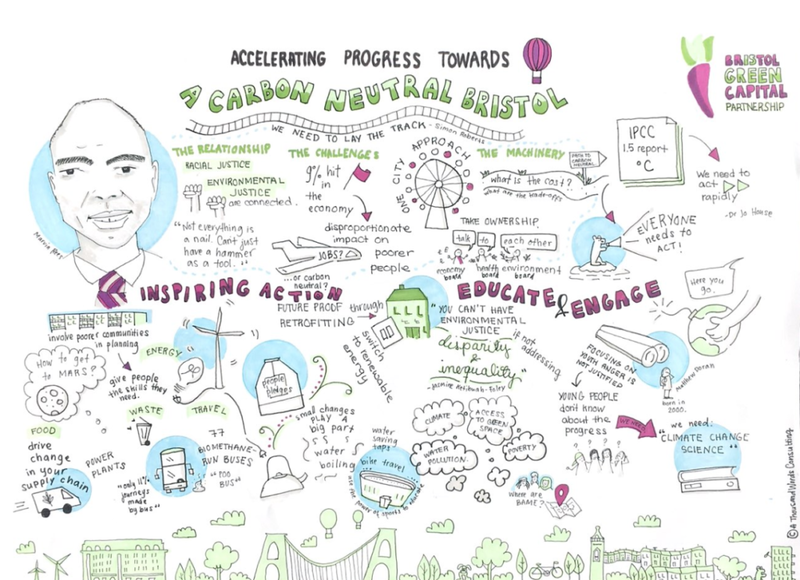 On 5th March, Bristol Green Capital Partnership held one of its largest gathering’s yet to explore how to accelerate progress towards a carbon neutral Bristol on an inclusive basis. 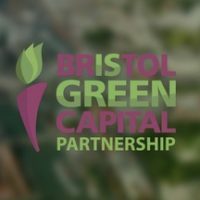 Last November, Bristol City Council unanimously passed a motion in full council declaring a ‘climate emergency’. 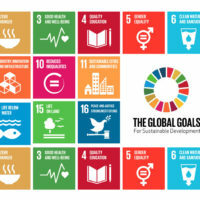 The motion called for the city to be put on a course to being carbon neutral by 2030. 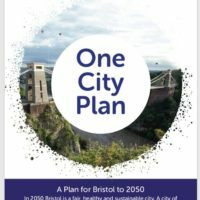 That requires carbon emissions caused by the activities of Bristol’s people, institutions and businesses to be reduced to virtually zero in just over a decade, a hugely ambitious goal. 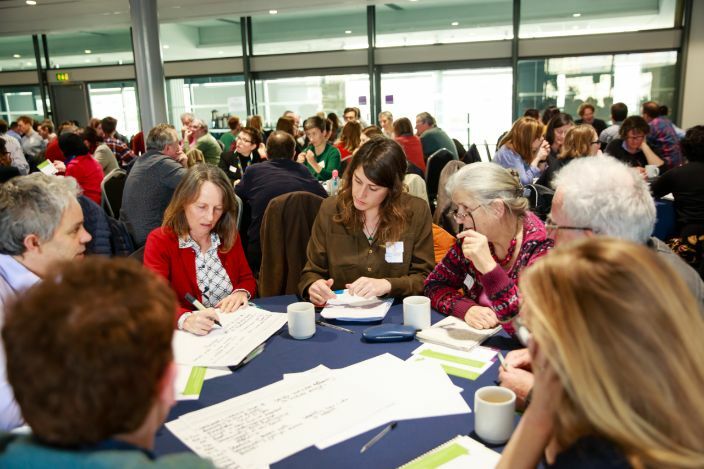 The Partnership gathering saw nearly 200 attendees from a diverse range of organisations explore what this means for us as a city and as the individuals, communities, businesses and organisations that together are Bristol. 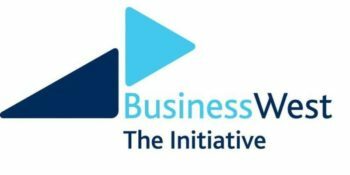 A range of speakers set the scene, with inspiring case studies of community action, business leadership and game-changing initiatives. 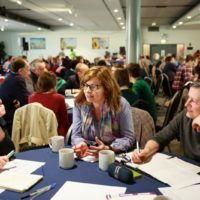 This was followed by roundtable discussions to consider and commit to actions attendees can take, and identify what conditions would enable even faster progress towards carbon neutrality within their homes, communities, organisations and sectors. We will be summarising contributions from the event in a published report, and sharing findings with Bristol City Council and other stakeholders to inform how progress on the city’s emissions reduction can be accelerated in the context of the climate emergency motion. 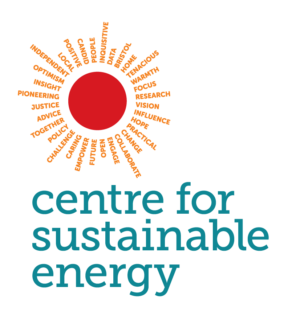 Keep an eye out for more news soon. In the meantime there’s a great visual illustration from Dulce Pedroso below. There was a live broadcast by Ujima radio broadcast from the event, so you can listen here.